Man 32yo with acute pain at right renal fossa. US 1 = right kidney hydronephrosis, no left kidney. 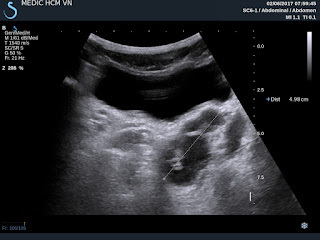 US 2 = crossed section of right kidney. US 3 = right ureter dilated and stone of 1.5 cm in diameter. US 4 = color Doppler twinkling artifact with stone. 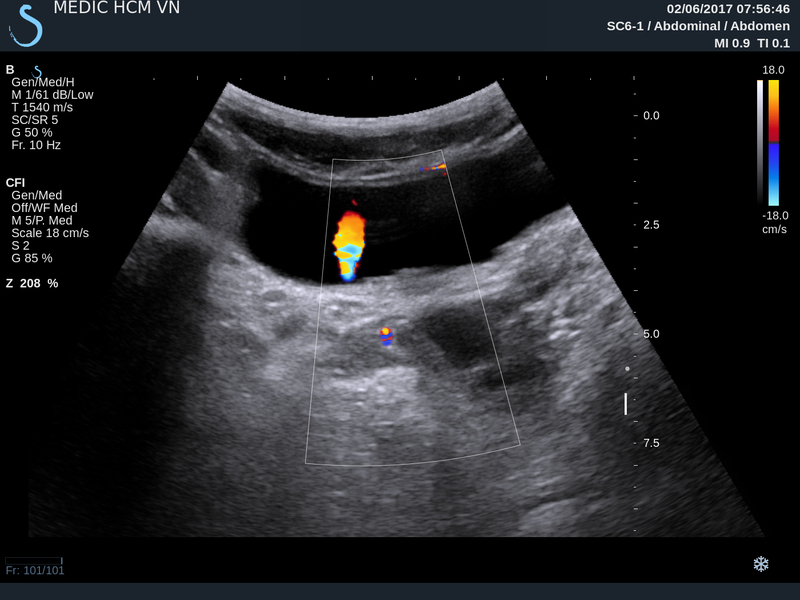 US 5 = in urinary bladder , urine jet only on right site. US 6 = cystic mass at the left wall of urinary bladder. CT1: fron tal view, right kidney hydronephrosis no left kidney. CT 2: sagital view the stone in right ureter. CT 4: vascular malformation of agenesis of left kidney.